Adidas have a collection of St. Patrick’s Day inspired shoes “with festive colours and a clover sign-off to celebrate St. Patrick’s day”. 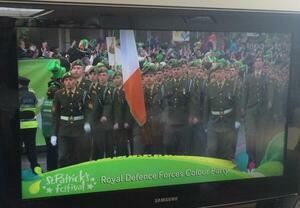 The clover really makes it ridiculous, and the Irish colours are backwards…. 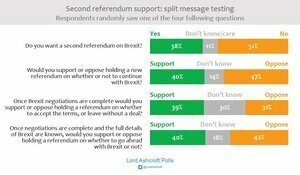 Posted in Design and tagged Defiant Tricolour, Was It For This? at 10:00 am on March 6, 2019 by Bodger. Pseudo-patriotic marketing strikes again. It’s business as usual. This regularly happens when a company tries to jump on a cultural bandwagon which is outside their milieu. Tasteless American tootle-pumpkins for tasteless American rootle-strumpkins. A cruel and unusual punishment. I am now intrigued as to your original version. It was something elegant about twinky pinky and footle-tootle. But clearly SOME PEOPLE are no crinkle-pumper-pants. It made me realise that I pronounce tweetle as twottle and it’s wrong and not as effective. COME ON! Twot isn’t even a WORD! Pack a twoottles. You don’t deserve us. TAT IS NOT A BOLD WORD. however, that’s peachy orange and minty green, so…maybe not necessarily meant to represent the flag. 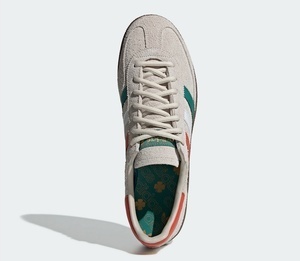 Morto too, but if they’re giving them away for free I would take the hit and wear ’em. and uhm does shizz mean poo? yes. I thought shizz was sure. Fo’ shizz. I’m trying to remember the days when I watched The Wire. I think the FAI should tear three stripes off them. 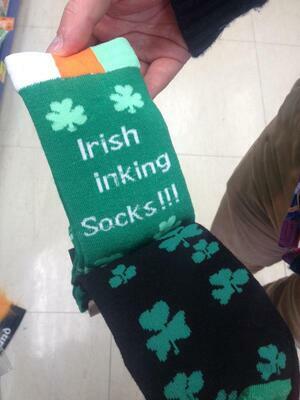 I’m surprised the didn’t mark “St Patty” on it somewhere. Get outta my field Yank! Cost considerably less than a fiver to make. 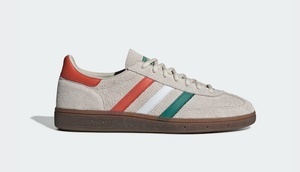 This range of “handball” shoes sell in the UK for £70, but they charge £110 for these Ivory Coast ones. And all with an ugly cheap looking sole. Are sole, are sole, are sole. And the new Asics Gel Éire Lyte. Green, white and orange combined on any clothing or footwear will never be fashionable. 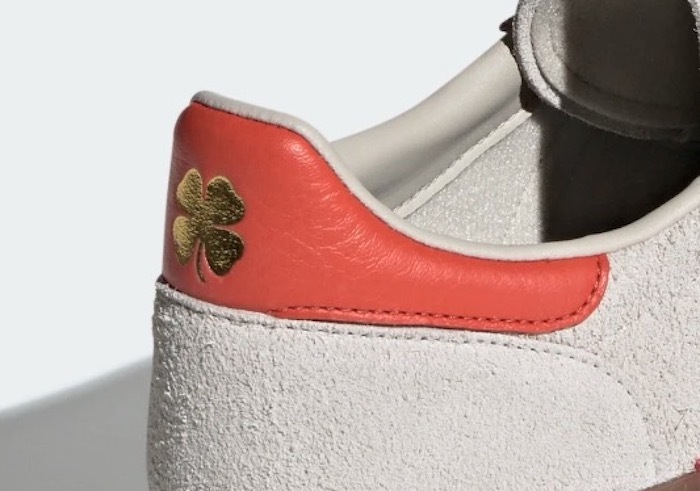 I don’t know of one Irish person who would wear their themed Paddy’s Day apparel after the 17th, certainly not a clover on their shoe. Adidas have done zero market research. Some brands get too big for their, eh..boots. Get yourself down to the Submarine bar next time the Republic are playin. There’s also a few thousand scrotes that would give their left one for a pair of those. The clover is egregious, but the flag is done the correct way for a depiction on a two sided object. Take a look at Air Corps airframes for instance.